Models Now Open! Discover luxurious new homes for sale in Cypress at Serrano, a part of the exclusive and desirable El Dorado Hills masterplan community that will appeal to the move-up homeshopper. 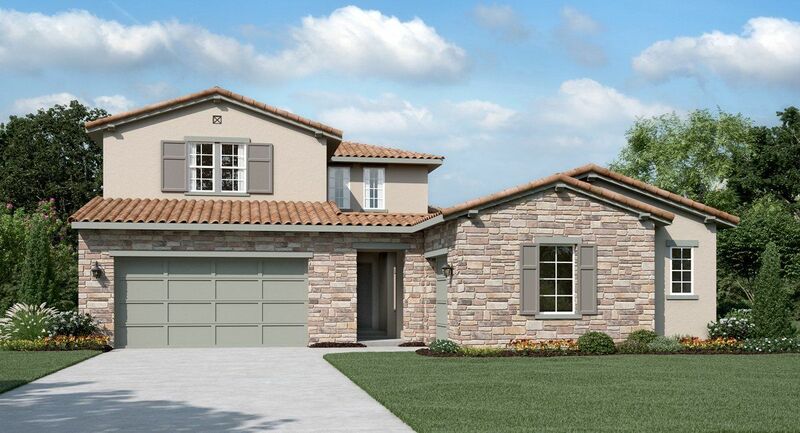 Featuring exquisite architectural detailing, Cypress at Serrano offers a spacious collection of high-end, single and two-story homes ranging in size from approximately 2,837 to 3,809 square feet with three to four bedrooms, three and one-half bathrooms and two to three-car garages. Homes are highlighted by open floorplan layouts featuring gourmet center island kitchens with walk-in pantries, expansive great rooms and ground floor master suites with spa-like baths. An abundant use of windows throughout allows for plenty of natural light and enhances indoor-outdoor connectivity. Join the interest list and stay up-to-date on all of the community news and information. Make an appointment with one of our CA DRE Licensed New Home Consultants Today!